Mission accomplished: China Southern Airlines is already surpassing its goal of having 55 weekly flights to Australia and New Zealand by the end of 2015. From about 25 weekly flights in 2011, China Southern in Dec-2015 will have 65 weekly flights. This includes three daily flights – one on an A380 – to Sydney, a frequency that compares to Cathay Pacific’s four and Singapore Airlines’ average 4.5. Competitors are responding with a series of JVs that await regulatory approval. Qantas-China Eastern received a draft rejection while Air New Zealand-Air China awaits approval and Air New Zealand-Cathay Pacific needs re-authorisation. The Qantas-China Eastern initial rejection appears misguided while New Zealand stakeholders are questioning the benefits of the Air NZ-Cathay alliance in a market that where capacity has decreased by 18% while the Air NZ-Singapore Airlines alliance has grown capacity by 20%. It might appear lines in the market have been drawn, but it is still early days. China Southern’s achievement in the market is only its first. The question is what its next goal is, and the answer is being kept closely guarded. China Southern in 2011 set out to have 55 weekly flights to Australia and New Zealand in 2015, and will meet this goal, and surpass it, in Dec-2015 with 65 weekly flights. China Southern has briefly operated more than 55 weekly flights over Chinese New Year in 2014 and 2015, but this was for only for a few weeks at most. China Southern’s schedule will mean it operates 65 weekly flights over the southern summer 2015/2016, and then 58-61 weekly flights in Mar-2016. It has not updated its southern winter 2016 schedule, which currently displays 43 weekly flights, the same as southern winter 2015. China Southern’s growth is comprised of two extra weekly flights to Perth, four to Melbourne and an extra daily service to Sydney. China Southern is adding a daily A330 service to Sydney to supplement its daily A330 and daily A380 service. China Southern’s only other points in the region are Auckland and Brisbane, which have no planned frequency change. Auckland achieved significant growth in southern summer 2014/2015. China Southern’s growth in Australia and New Zealand has been fast, and its latest growth starts to place it in the league of Asian full service peers. China Southern’s peak three daily flights to Sydney are more than Malaysia Airlines’ two and are approaching Cathay’s four and Singapore Airlines’ average 4.5. 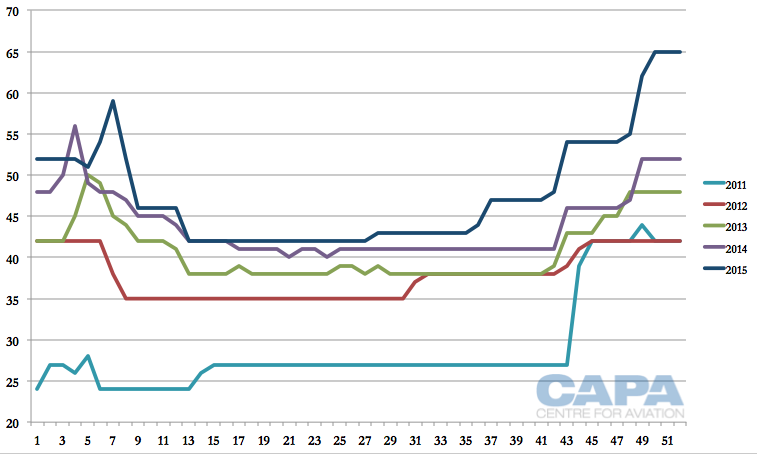 China Southern’s two daily Melbourne flights compare to 2.5 from MAS, three at Cathay and 4.5 at SIA. But overall China Southern remains smaller than Cathay and SIA, although it has surpassed Malaysia Airlines and is ahead of China Eastern, the second-largest Chinese carrier in Australia/New Zealand. Cathay and especially SIA have a larger footprint in the region since they serve more ports: nine for SIA (including SilkAir) compared to five for China Southern. Cathay and SIA would be happy without the competition of course, but there are differences between them and China Southern. China Southern focuses mainly on the outbound Chinese market, with little inbound or sixth freedom traffic. 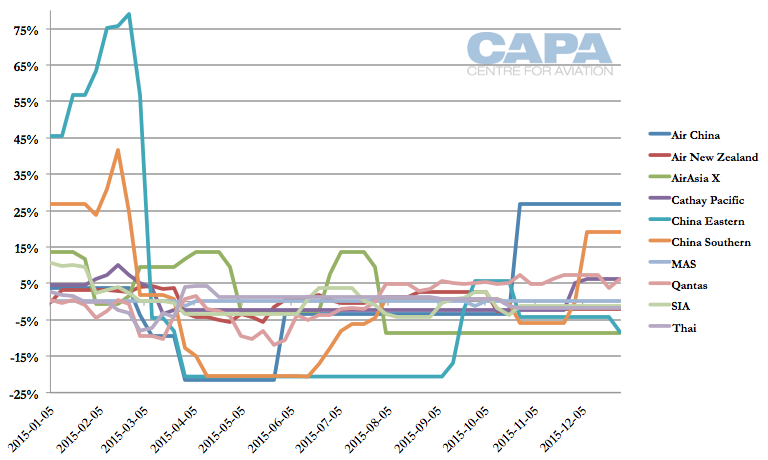 However, the low fares China Southern puts out have a large downward impact on overall market pricing. Australia's proposed rejection of the China Eastern-Qantas alliance risks becoming a diplomatic gaffe since China blessed and expected (with official reason to do so) the JV to eventuate. Numerous industry stakeholders have urged Australia’s competition watchdog, the ACCC, to reverse its initial determination. The ACCC believes the JV will produce “significant public detriment” to the market. This is despite the ACCC acknowledging that China Eastern and Qantas have “largely complementary” networks and a JV would be beneficial. However, the ACCC believes any consumer benefit from that will be outweighed by China Eastern and Qantas working together on the Sydney-Shanghai route, Qantas’ single route to mainland China. 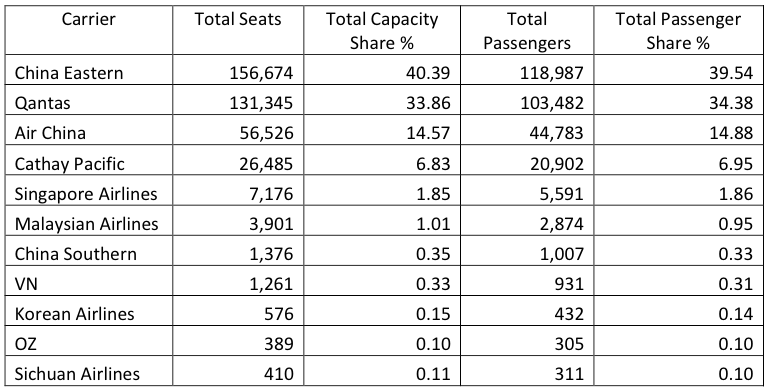 China Eastern and Qantas accounted for 83% of non-stop seat capacity in the year to Sep-2014, with Air China accounting for the balance. But Air China operated only a few days a week and had been decreasing capacity. “The ACCC does not consider that Air China will sufficiently constrain Qantas and China Eastern in the event they decide to reduce or limit growth in capacity to increase airfares,” the watchdog wrote in its draft determination. This is just one route, but the ACCC is concerned it accounts for 24% all non-stop travel between Australia and China. The ACCC believes one-stop itineraries between Sydney and Shanghai account for only 12-15% of the market and these are “weaker competitive constraints on Qantas and China Eastern on this route than Qantas and China Eastern are on each other”. This data was submitted by Qantas, which later said it was unreliable and under-counting indirect traffic, the major flows in the market. Such booking data is partly an estimate, an issue aggravated when dealing with the China market. This is owing to the fact that many bookings are made through the TravelSky GDS, which does not share booking data with other providers and thus there are no ways to reasonably estimate this traffic. The problem is aggravated in the China-Australia market since it consists mostly of outbound Chinese, with a larger share of bookings on distribution channels that cannot be reasonably measured. The ACCC acknowledges these issues but says it continues to use Qantas’ original data (below). Air China and Air New Zealand have proposed a joint venture covering Air New Zealand's Auckland-Shanghai Pudong service and Air China's proposed Auckland-Beijing service. Learning from Australia's example, their application to the New Zealand regulator has sought to avoid the diplomatic gaffe of China Eastern/Qantas. The application reminds the regulator that the proposal was announced on China's state visit to New Zealand: "The Statement of Intent was signed as part of Chinese President Xi Jinping’s state visit to New Zealand, following approval for inclusion in the official programme by the Civil Aviation Authority in China (CAAC)." CAAC approval indicates a strong level of government support, although formal Chinese competitive approval is required. The applicants refer to the political ramifications from a rejection as "declining authorisation would have an undesirable effect on international comity between New Zealand and China". Further, the applicants suggest diplomatic relations alone – irrespective of competitive benefits or detriments – are reason to approve the alliance. They write: "international comity provides a distinct reason for the Minister to exercise his discretion in favour of authorising the Alliance." New Zealand has not stated when it will deliver a verdict, although past JV decisions have typically come within six months of application. 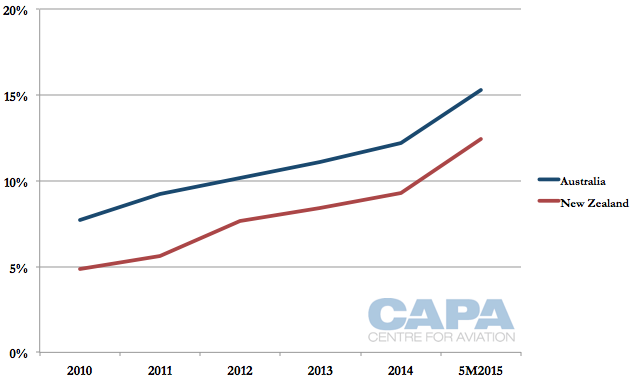 Air New Zealand and Air China applied in Mar-2015. They seek an authorisation period of five years. Cathay Pacific and Air New Zealand expected to hear by the end of May-2015 about re-authorisation of their alliance, but an outcome still awaits. Their alliance covers the Hong Kong-Auckland route they both operate (neither operates between Hong Kong and another New Zealand point) and domestic New Zealand feeder services or domestic flights as part of an international ticket. There are interline agreements beyond Hong Kong, but no codeshares into mainland China. There is a freesale codeshare between Hong Kong and Auckland. Freight is excluded. The alliance came about as Air New Zealand exited the Hong Kong-London Heathrow market and needed other sources of traffic to fill its Hong Kong-Auckland service. European tourism to New Zealand was also on the wane. Air NZ and Cathay were also seeing more competition from mainland Chinese airlines into New Zealand. Although it could be seen that the Cathay-Air NZ and Air China-Air NZ alliances overlap, there is some segmentation. Air China will broadly cover northern China as Air China's Beijing hub cannot compete on traffic from southern and central China into New Zealand – it is too circuitous. But even then Air NZ writes than "any cooperation between Air NZ and Air China faces a number of hurdles", which the application does not go into. Air New Zealand ended its Auckland-Beijing service as it had a difficult time working with Air China. The Air NZ-Cathay partnership can cover other parts of China, as well as other markets in North Asia and beyond. However, Air NZ has its own relatively significant operation in Japan and a JV with Singapore Airlines to cover other markets, including India. There has been resistance to carte blanche approval for the alliance. As it is, Air NZ and Cathay initially asked for five years' approval but were granted only three. They commenced revenue sharing in Jan-2013 and the agreement is set to expire in Jan-2016. The parties once again seek a five year approval, but this appears unlikely. Christchurch Airport has called for only two years' approval as "the Airlines have not satisfactorily demonstrated that many of those anticipated benefits have eventuated over the initial term, or will do so in the future." The Tourism Industry Association of New Zealand said New Zealand "should consider how re-authorisation of the Alliance can benefit New Zealand more widely". Christchurch is concerned the alliance could prevent the opening of direct services to other points in New Zealand, such as Christchurch, the gateway to New Zealand's popular South Island. China Southern has conducted limited flights to Christchurch, although it operates in a different environment to Air NZ and Cathay. Then again, Singapore Airlines operates up to 10 weekly Singapore-Christchurch flights in addition to its Auckland service. Christchurch suggested the Air NZ-Cathay alliance should at a minimum operate a summer service to Christchurch. Christchurch has questioned the effectiveness of the Cathay alliance in benefitting cities other than Auckland, saying traffic to/from the top six Air NZ domestic connections via Hong Kong "has largely been in decline". The Tourism Industry has asked the government to ensure there are no capacity cuts. 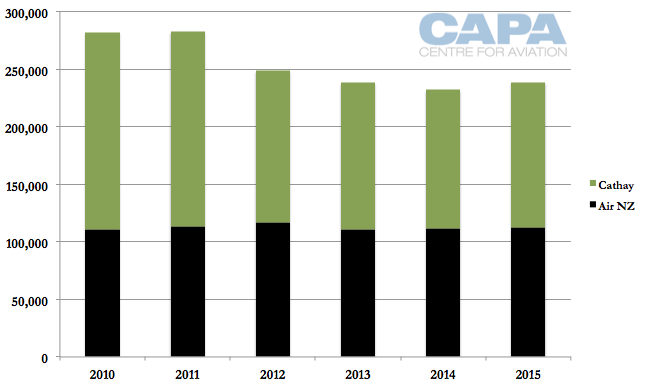 Between 2010 and 2015, Air NZ and Cathay's combined Hong Kong-New Zealand capacity has decreased by 18% while Air NZ and SIA's combined Singapore-New Zealand capacity has increased by 20%, according to OAG data. In 2010, the Singapore-New Zealand and Hong Kong-New Zealand markets were approximately the same size in terms of seat capacity, so it is a stark comparison Singapore-New Zealand in 2015 is 45% larger than Hong Kong-New Zealand despite Hong Kong’s obvious hub opportunity for New Zealand’s critical China source market. There is limited capacity growth projected: Cathay has mostly operated Hong Kong-Auckland with A340s, which are due to be replaced with A350s. Cathay's A350 will have 280 seats, about 6% more than its current A340s. 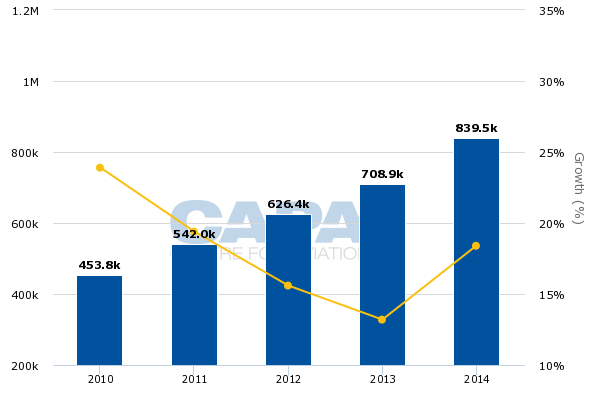 Under the SIA agreement, capacity has grown. Christchurch said the Air NZ-Singapore Airlines alliance "is a good practical example of how alliances with Asian carriers can be structured in a way that benefits both the North and the South Islands and services the travelling public more effectively". Christchurch is concerned that original Air NZ-Cathay application for authorisation in 2012 stated that a “key benefit” of the alliance would be the possibility of the airlines to “commence operating additional sectors between New Zealand and Hong Kong”. There is no similar statement in the re-authorisation application, leading Christchurch to conclude "there is little prospect of the airlines adding additional sectors". Auckland Airport offered unconditional support for the alliance's re-authorisation while Wellington cautioned about a five year re-authorisation period, especially since only the New Zealand regulator will oversee the alliance as Hong Kong approval is not needed. Wellington stopped short of calling for minimum capacity but rather had the more open-ended statement that Air NZ and Cathay should "not restrict capacity below the levels which the market would support in a competitive environment". Air NZ states revenue and load factors between Hong Kong and Auckland have grown, but the exact figures, along with most others, have been redacted as commercially sensitive. Various submissions noted the limited public information available on the alliance's performance. One figure stated is that in the year ended 30-Sep-2014, over 75,000 passengers connected from an Air NZ operated flight onto a Cathay Pacific or Dragonair service, or vice versa. As total Auckland-Hong Kong return seat capacity in the period was about 460,000 the figure indicates a transfer rate between the carriers of approximately 15%. Moreover, some of these passengers could have transferred without the alliance in place. The re-authorisation application maintains the view that without authorisation, Air NZ or Cathay would withdraw from the Auckland-Hong Kong route. But they state that even if New Zealand does not believe this would occur and both airlines would remain on the route, the alliance is necessary as Air NZ and Cathay are "constrained by a number of established one-stop carriers. These carriers have increased their market share since the Alliance commenced, for all categories of passenger. Fares on this route have remained at competitive levels since the commencement of the Alliance." There is no record of a submission from Hong Kong Airlines, which is considering long-haul flights, including to New Zealand. Wellington airport noted there could be a new, unnamed Hong Kong-New Zealand operator. Chinese carriers have the opportunity to use their hubs for sixth-freedom traffic, as seen with China Southern's pushing of the "Canton Route" between Australia and Europe over Guangzhou. But most traffic on Chinese airlines into Australia and New Zealand remains heavily weighted towards outbound Chinese. The rapid growth of Chinese airlines in Australia and New Zealand is visibly delivering tourism benefits. Chinese visitors to Australia are up 21% in 5M2015, putting the Chinese market on track to surpass one million arrivals in Australia for the full year 2015. New Zealand's Chinese visitors are about a quarter of Australia's, and are up 36% in 5M2015. The market is still young and maturing, with large swings in seasonality. Over the space of just a few years, the changes are evident: Chinese visitors accounted for 4.8% of all visitors to New Zealand in 2010, and in 5M2015 account for 12.4%. Chinese visitors to Australia accounted for 15.3% of all visitors in 5M2015, which means China overtakes New Zealand as Australia's largest source market; this is up from 7.7% in 2010. In May-2015, a quiet period for the inbound market, the number of additional Chinese visitors to Australia was larger than the number of additional visitors from all other countries combined. Australian and New Zealand regulators have provided oxygen for growth by supporting air service agreement expansions, sometimes unwelcomed by the local carriers. Now the competition regulators must assess whether joint ventures in a young market will also deliver benefits.